Packing peanuts are a loose fill type of cushioning. Because packing peanuts are loose fill, they are useful when packaging items of irregular shape or to fill void space within the package. 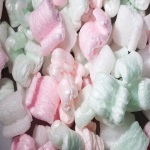 Renatured packing peanuts are 100% biodegradable and are a great eco-friendly alternative to other packaging products. 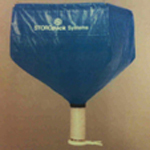 Renatured packing peanuts come in a 12 cubic foot bag. 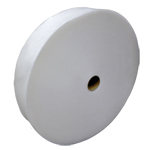 At Boatman Marking we offer a variety of packaging peanuts to satisfy your packaging needs.